What if you had access to thousands of creators/ inventors and their inventions? 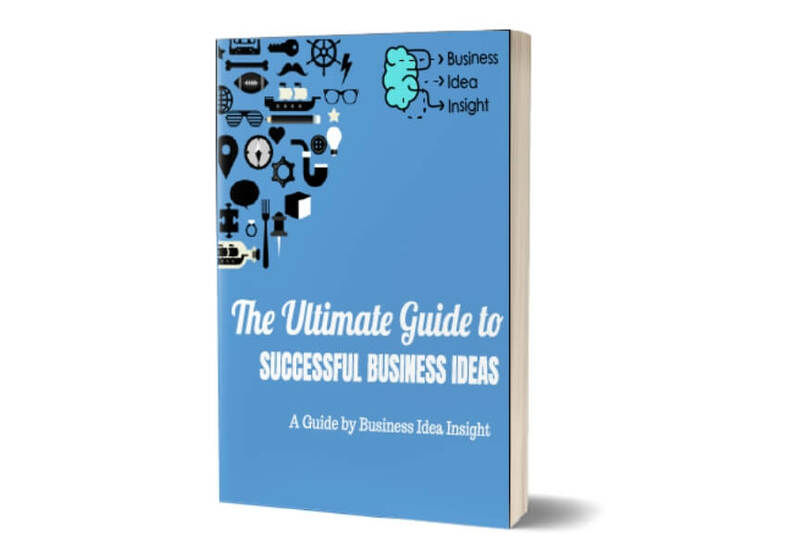 If you are an aspiring entrepreneur looking for potential business ideas, look no further. Today, I am going to show you how you can find business ideas from expired or near-expired patents. Patents can be a great way to find new business ideas for several reasons. 1) People register hundreds of thousands of patents a year, with a significant amount never implemented into a commercial product or service. This leaves a huge window for aspiring entrepreneurs to find expired patents, and seeing if you can make a previous entrepreneur’s dream come true. 2) Many people that create and design inventions that end up patented are usually inventors or creators. They may be too risk-adverse or lack the resources and entrepreneurial skills to execute on their invention. Leaving the patent to expire years later. This gives you the chance to take their invention and implement it using your entrepreneurial skills. 3) Expired patents are potential business ideas waiting to be implemented to solve the intended problem, or enhance people’s lives. Instead of re-inventing the wheel yourself, you can find someone else’s design and use that. It has already been designed so it will save you a significant amount of resources. 4) Recent inventions can also give one a lot of inspiration, and you may find a hidden gem that you can implement in an area not previously thought of by the patent holder. 5) The expired or abandon patents are in the public domain and are free to use. We will be going over how to access those databases soon. 6) If a patent is registered in one country, but not your home country, it could lead to a great business idea. For example, if you saw a product patented in Europe, there would be nothing stopping you from implementing this product in your home country. Now there is a risk. The original patent holders could file for the patents in your respective country, which would compromise this plan. However, if you can manage that risk, it can help you find business ideas. There are two ways to find business ideas from patents. The first is finding patents that have come up for renewal and will require a payment to keep them patented. A lot of the time, inventors do not have the cash flow to fund the patents for the 20 years. Instead, they will abandon the patent payments and the patent becomes public domain. The second way is to find patents that are already expired. This is the perfect way to find invention ideas that can help solve the problem you are looking to solve. If you are looking for something that has been invented recently, then this will be a feature you will want to look into. So how does this work? If a patent is coming up for renewal and the owner of the patent does not have the money to renew the patent, you would take over the patent payments. The second option would be that if you saw a patent has been in place for a few years, with no commercial applications built, you could potential takeover the payments. Some inventors may see this as a win because they don’t have the capital to bring an item to market with their patent. Search for all patents related to the keyword/ problem that you want to solve. Once you have a certain patent chosen, record the patent application number, removing the first two letters in the beginning. Sometimes when you find the invention you were searching for, it may tell you if the patent has expired due to patent payments not being made. Go to the US Patent Website and enter in the captcha to get to the search screen. Once at the search screen, input the patent application number (the one you recorded earlier) into the search screen. Check the status of the patents to see if it is Active, Expired or Abandoned. If it is abandoned you can possibly take over the patent payments and it could become yours. If the patent is active, this is where you can possibly take over the patent payments. However, not all inventors want to part with their patents. Finding expired drug patents can be a great business idea, but very competitive. At about the 20-year mark when the patent for a drug ends, the patent expires and is open for the public to access and produce. This creates a huge surge in supply for that drug, as well as a large decrease in price so everyone can afford it. 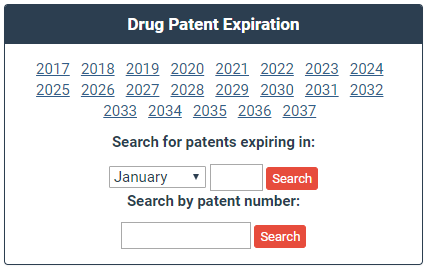 Using the Drug Patent Watch Website, you can find any drug that is patented, its expiry date and other in-depth details. I find the best way to do this is to search by year. This allows you to plan ahead if you were going to go into the generic drug manufacturing business. 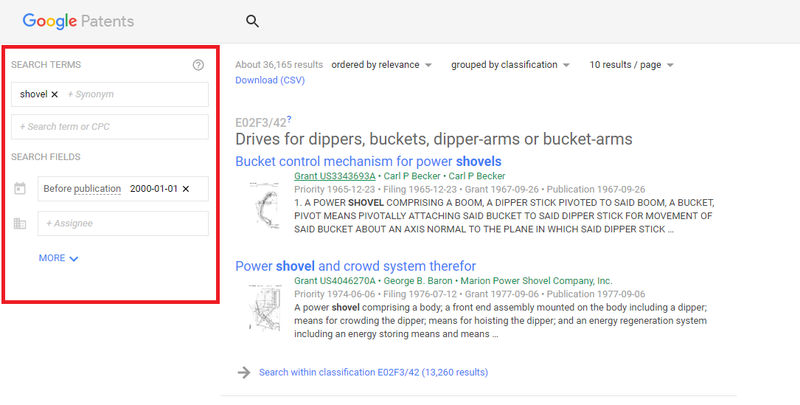 Another tool you can use to find expired patents is to use the Ex Patents website. 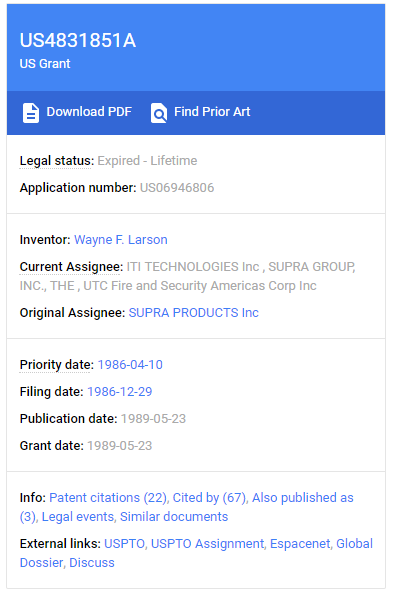 This website shows only patents that have expired so you don’t have to waste time sorting through huge lists of patents that are both expired and non-expired. Simply go to the website, and search through each page until you see something that catches your eye. Once you click on the link it will take you to the Google Patents website for more information. Search for patents that are between 15 and 21 years old. Patents of this age will be already expired or ready to expire in the next few years. Most patents expire in 20 years, while design patents will expire in 15. 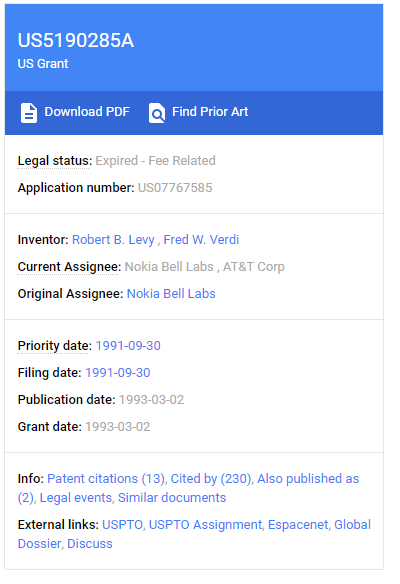 Also, if a patent holder does not pay the necessary fees to maintain the patent during that period, the patent will become public domain, which can be found in this search time frame. Be careful if the patent is not expired, as there may be fees to pay to reinstate the patent. Type in the keywords for inventions you are looking to explore. Think of an industry you want to enter or a product area you want to make an impact in and use that for the keywords. If you can get really specific, it will help as there can be huge lists for expired patents. Find patents that have a Legal Status: Expired. If the Legal Status says Active, then the patent has not expired yet. Sometimes it will not show if the patent is expired, so in these cases you will need to use to check like previously explained. Now that you have some inventions and creations that you can utilize to solve problems, you’ll need to find relevant problems that these things can solve. Take some time to find problems that you think could be solved by commercializing the expired patents you found. *A note of caution, please do your own legal research before you use and implement any expired or non-expired patent to avoid unseen risks. Now that you know how to find patents that you can potentially take over, as well as ones that become public domain, you have access to thousands of business ideas. Know someone that would benefit from this article? Please share it with them, sharing is caring!